It was a floating week. no set schedule, but just treading through our days. We did some school work while also having extra kids over. 3 kids came in the mornings as a warm up to my home before I begin caring for them afterschool. A way for them to get to know my family before all the school and sports activities take off. 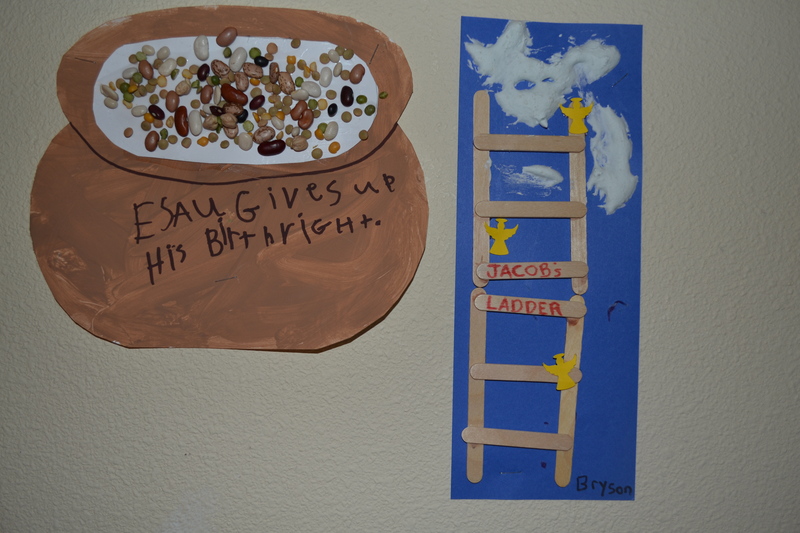 They are great kids that I look forward to having in the afternoons. Both boys are around my boys ages; the girl is 9 and full of creativity like my Katie-girl. One of the days was a bit more busy; just another random day really. 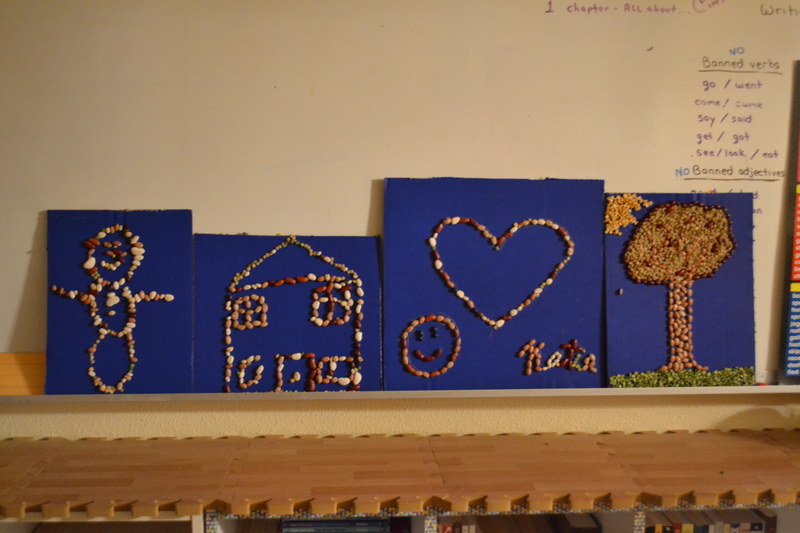 Anyways, my kids did their core work during quiet time (early afternoon), and the extra kids did some projects with us. all great topics to discuss with the kids! We usually just do equal parts glue and shaving cream, which is always soft and spongey when first dried, but eventually flattens. This new recipe is thicker (not as spongey cool feeling) however it stays puffy. It would definitely be a winner for puff paint writing! We learned about Mosaic Art of the Renaissance era. quite the useful tool in our home. With week 2 under our belts, I am looking forward to a fabulous school year! What fun things did you get to do? Hey, Sheri! 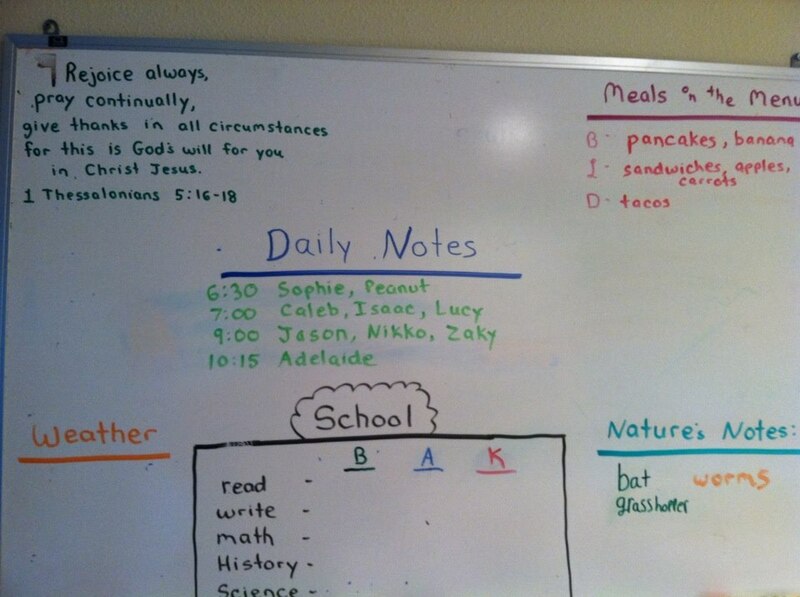 I love the daily note board, I’m going to have to adopt that idea for our home. It’s really neat how you make learning so much fun!